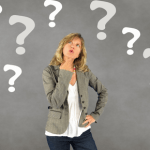 Or Should we say here: “What are keywords or keyword phrases?” As an affiliate marketer, we often hear that question, and there is a confusion that is going around about how complicated they are and what they are used for. But are they really complicated? Not if you look at it with simplicity and precision. A keyword is a search term that someone would enter into a search engine (Google, for example, being that it’s the biggest search engine out there) when they are looking for something. It can be whatever you want. Here, for example, someone wants to buy a humidifier for their home and Google gives them thousands of results to chose from, and it provides them with the most appropriate choices, according to their search, on the first page of the search result. The best way, according to Google, to get ranked on page one of their search results is CONTENT. The more you post quality content on your website, the better the chances are that Google’s crawlers and algorithms are going to find your content and place it on their first page. Content is king, and when you take advantages of keywords within your content that focuses on what people are searching for, you create yourself an excellent chance of ranking high and therefore create a greater amount of traffic to your website. Keywords are a powerful tool for affiliate marketers, and if you master it you’re on your way to success. Once you have a good keyword, the next step is to create content around that keyword. In the example above, the keywords would be “where to buy a humidifier”, and you would create your post around that. Well first things first, you need to understand the metrics (the particular features) behind keywords, meaning what is the best one to choose. I would start by trying to find a keyword (or keywords) with low competition and a high traffic volume. So how do you know which one has these qualities? I use a tool called Jaaxy, which is part of the Wealthy Affiliate platform. Traffic: This would be the number of visits that your website would receive if you would rank on the first page of the search engine. QSR: It’s the “Quoted Search Results” which means the exact number of websites that are ranked in Google for this exact keyword. A “QSR” of under 100 is easier to rank. KQI: This is the “Keyword Quality Indicator” which as 3 values – Great (in green), Normal (in yellow) and Poor (in red). SEO: This is a score based on traffic and competition. You want this score to be as high as possible. The higher the score on a scale of 1-100, the more likely you will get ranked for this keyword on the first page. Domains: This is the availability of domain names that are related to the keyword(s) that you’ve entered. In this case “wheretobuyahumidifier.com”; “wheretobuyahumidifier.net” or “wheretobuyahumidifier.org” would be available to purchase. So, as you can see Jaaxy is a very powerful tool to help you find keywords that will help you rank your website to the first page of the search engine. Keyword(s) is what you base your pages and posts to rank on the first page. When you rank on the first page you get “TRAFFIC”. This is what you want, traffic on your website because then you get people to look at what you have to offer, and it creates an occasion for you to monetize your website, which is your ultimate goal. OK, so how do you make money with the traffic you generate from a keyword that ranks? You send them to an affiliate program that you are part of. For this example, you could become an Amazon.com Associate. When you join the amazon.com associates program, they pay you a commission ranging from 1% to 10% depending on what you sell through your affiliate link. In this case, it would be 4%. You would make a cool $11.81 ($295.28 x 4%) just because someone has clicked on your affiliate link and bought the item through your link. If 10 people buy this product in one day that would make you $118.10! Just for promoting this item alone. Before you start making money, you will have to create quality content, with a keyword(s) that rank. That is the first step! Once you have your website up and running for a while, and you create quality posts with targeted Keyword(s) that rank, search engines WILL find you. 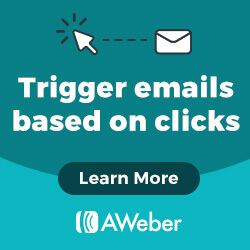 So, your job is to create posts that will have a targeted keyword or a keyword phrase, related to the subject of your website. Quality posts are also very important. Google’s algorithms love and rank websites that provide quality and engaging content to their readers. You should focus on quality content and keyword phrases that rank. But don’t despair if your website doesn’t show up on the first page at first. Even down the road, not all your posts will rank on the first page, and that is fine. Some of your posts will rank and will bring traffic to your website, therefore, the pages that did not rank at first will still have traffic brought to them from your other posts that did rank. The more you create a regular post that target keyword phrases, the better the chances of your website will be ranking under multiple posts. 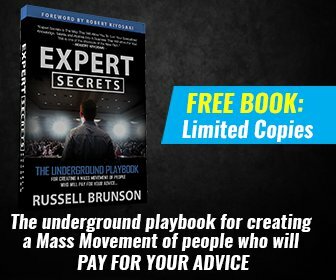 That’s how you create traffic and ultimately a passive income stream. One thing I would like to mention before we end this post this: Don’t try to “stuff” your posts with keywords, it will just create an awkwardness and people tend to stay away of a website that has a lot of content, but no meaning and has just been created to focus on keywords. This could ruin your site’s reputation. You should focus your posts on helping your potential customers, not keywords. Please feel free to ask any questions you would have in the comment section below, I will be happy to answer and discuss. 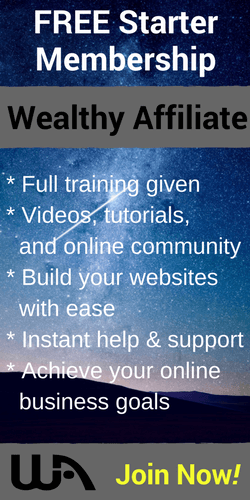 If you want to start making money with your website, including the powerful keyword search tool Jaaxy, I strongly suggest that you check out my source for everything pertaining to affiliate marketing – Wealthy Affiliate. You can also try the powerful tool Jaaxy right here by inserting your own search and opening your FREE account. Will see you on the inside! Thanks to you, I finally know how to use key words on my blog. Previously, I was only focusing on writing without searching for keywords and that’s why I did not see any traffic. The Yaaxy tool looks interesting. I recently registered with Wealthy Affiliate andI I did not know what it was Yaaxy yet. Thanks for explaining all this. Glad I could help you comprehend the importance of keywords in your blog posts. Keep using them and traffic will start flowing…It’s a guarantee. Thank you for the useful post on the term keyword. I think it will help to clear many doubts regarding the tricky topic about keywords and rankings. I liked that you relate blogging to helping people instead of focusing on keywords and traffic. I think this is a common mistake for beginners – to focus on keywords, rankings, traffic and Google instead of trying to help people. Also Google always emphasizes the importance of user experience. So this is the right way to go to succeed online. We do agree that people tend to focus more on the keywords than to help and to give your audience a great user experience first. Thanks for stopping by and giving your opinion. Thank you for the time you took to create this post on keywords. We can always glean a lot more from how others perceive a concept that we think we’ve already understood. Providing a lot of quality information on how a keyword works and how it can help our websites to rank in Google is very valuable. One question I have though, isn’t the QSR of 300 a bit high – as this means that there are 300 others competing for the self same keyword? 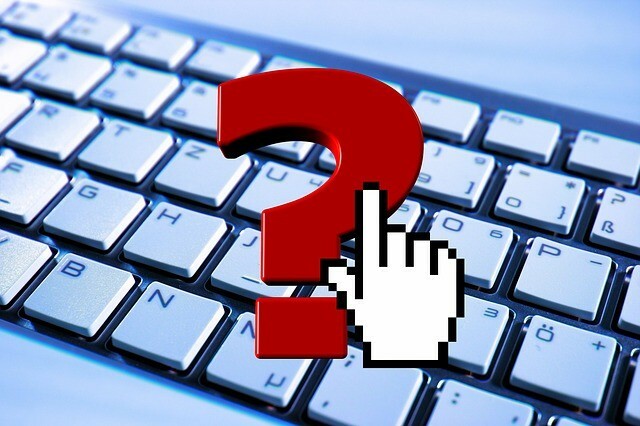 Surely it’s better to look for QSR under 100 and if possible under 50 – that way there will be less competition and more scope for your keyword to be found on your page. You are absolutely right my friend and thank you for pointing that out. A QSR of 300 is way too high and we should always aim at 100 at the most or lower. This was my mistake, and probably a typo. I will update my post right away and change it to 100. As you can see in my example, the QSR is even much lower than 50! This post clearly explained what a keyword is to me. It define it in a simple way I can understand. This makes sense to me. Thank you. I am “grateful” that you have found my explanation about keywords of value. Keywords are actually a very powerful tool once we understand how they work and what they are. They are not that complicated and the more you use them, the more you get to understand the metrics that go with it. Once mastered, keywords are “the” tool to use to upscale your online business. Thanks for stopping by, and be sure to come again as I will post more helpful posts regularly. I am “grateful” that I have provided guidance to your online journey! It is my ultimate goal! What I have learned at Wealthy Affiliate is very thorough and if I can pass it on to someone in need, well I have done what my website is all about! Thanks for dropping by, it is always pleasant to help!